He''s no doctor, but he is smart in his own right! From the popular Big Bang Theory TV show comes the one and only Howard Wolowitz. 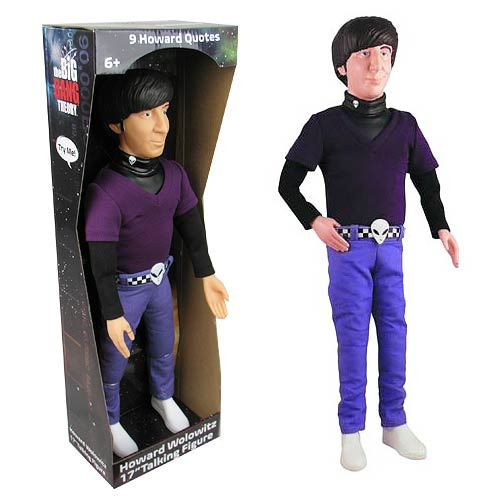 This 1:4 scale figure of Howard Wolowitz stands 17-inches tall and comes with a sound chip loaded with dialogue from the series! Ages 6 and up. The Big Bang Theory/TOS Leonard 3 3/4-Inch Figure-Con Excl.